ROHINGYA YOUTH ASSOCIATION: "Earnest Call to Save the Remaining Rohingyans in Arakan"
"Earnest Call to Save the Remaining Rohingyans in Arakan"
Many Rohingya people in exile including myself have struggle for democratization and the release of Political Prisoners in Burma. All of us hope that a day there will be Peace and Freedom. That day has come likely and Hope has come back for all. But soon, ethnic cleansing against defenceless unarmed Rohingya is recurred in Arakan and there is a huge misinformation on the situation.. It is very horror and well organized from the beginning that Curfew and Order are imposed on only Rohingya while Rakhine people are freely allowed to carry out various attacks, looting goods and cash even harden woods and pillars and torching fire at last after security forces opening fires into Rohingya houses and Rohingyans. In this manner, many of our family members and relatives were killed including my cousins and my mum and sister are still missing..
Because of we are dark, or muslim or just Rohingya. I don't know exactly. Despite politics, nationalities are not as important as the emergency. Nowadays in many local journal and online news, Rakhine- politicians, monks, historians and teachers are openly declaring that they could not share their lands, waters, foods and any resource for Rohingya, not anymore. Now, authority are replacing Rakhine people in Rohingya lands which were burnt down. High ranking authorities said that they don't want to see any Kala in the town and Rohingya or Bengali or Kala could not be owner of anything in Burma. Now, day by day Rohingyas are dying and disappearing by hundred from continuous arbitrary arrest, brutal abuses, starvation and lack of medication. Their cattle and goats, farming lands and crops were already taken away by Rakhines while all Rohingya in Arakan are confined within their houses. They can't escape, they are trapped between the bullets of the authority and the knives of Rakhines. Rakhines are still chanting all over the town to cleans the remaining Rohingyans. Pl do anything to stop all the abuses and crimes made on the remaining Rohingyas people before we go all extinguished. 100,000 Rohingyas are homeless today while there is raining season in Burma. 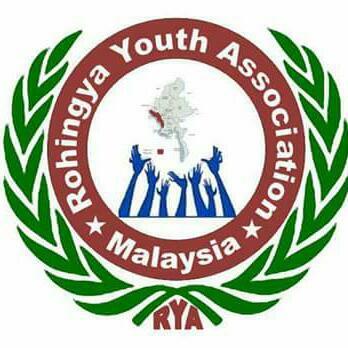 Burmese authority do not provide any aid nor assistance for homeless Rohingyans. Soon our ethnicity will be disappeared and similar form will be utilized for other minorities. Only your voice can change something for us. We need your voice just to at least save our people. Save the remaining Rohingyas on an humanitarian ground. Let them have food and water and medication and shelter. Please find a way to save our remaining relatives, our Rohingya people on Your Highness. We need international communities' assistance, the authority will only be felt pressure by international communities. It is the moment given the racism in Arakan, so international help is the only situation for Rohingyas. Please help us.